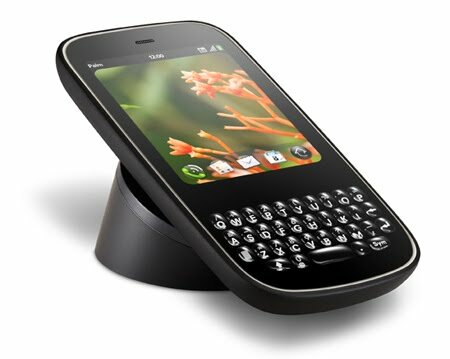 Now that HP has bought Palm, there is lots of speculation about what will happen to their employees, their webOS, their devices, etc. But I'm intrigued about the brand strategy and transition. Palm - Keep it as Palm and change nothing. This is unlikely to happen and not a good idea. HP should associate its brand to Palm so that it can build greater brand awareness in the mobile space, which is a primary benefit of acquiring a company in a space you don't have a strong presence in. The other reason why the child brand is left alone after acquisition is if the parent brand is a liability. For example, luxury brands often aren't closely aligned to a mainstream parent brand. For example, Ritz-Carlton (and Marriott) and Lexus (and Toyota). But Palm is not a luxury brand. HP - Kill the Palm name altogether and call the devices HP. Presumably, HP bought Palm because Palm still has a strong brand name and awareness in the market. Switching instantly to HP would be unwise because you just threw away all that Palm brand equity of the original PDA pioneer! So that leaves 2 scenarios: co-branding and endorsed branding. Palm by HP - This endorsed brand strategy is very common for mergers and acquisitions. It is not as aggressive as co-branding and is used regularly when there is perceived risk in too closely associating the parent brand (HP) with the child brand (Palm). For new ventures, this is quite common. For example, Courtyard by Marriott when it launched. In this case, I think the risk is not that high for HP. Palm and HP are similar brands in terms of target audience and brand premium. For example, with Courtyard, it was a different customer and different price point. HP Palm - That leaves a co-brand strategy, which I like. This gives both brands equal billing because I believe both brands offer the target customer benefits. Also, it will accelerate the brand equity transfer from Palm to HP in the mobile space. I would however consider dropping Palm subbrands like Pre or Pixi. With HP Palm, it's already a mouthful. You don't need to say HP Palm Pre. Instead, to focus all the marketing on HP Palm, I'd consider a numeric naming convention for models. E.g., HP Palm 750. People will call the phones HP Palm 750 or say I have the latest HP Palm phone. If they forget the number, big deal. It's all about building the HP Palm brand name. This strategy is deployed successfully by all luxury auto companies (e.g., BWM 330ci, Acura RL) and even tech companies (e.g., iPhone 3GS). On a side note, I was a big fan of Palm for years. I owned 7 Palm OS-based devices (Palm II, III, Vx, VII, 2 Sony Clies, and the Tungsten E2) and wish Palm well...or should I say HP Palm?